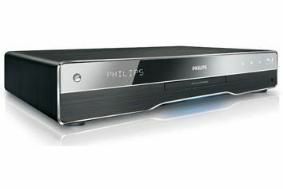 IFA NEWS: Philips boosts Blu-ray line-up with two more models | What Hi-Fi? The SoundBar range is also getting the Blu-ray treatment in the form of the HTS8160B and HTS8161B. These two models are the same except for the finish (black and white respectively) and deliver HD audio in AmbiSound style using the unit's six drivers and a separate subwoofer. These models aren't yet confirmed for the UK, but we'd be surprised if they didn't make it over.